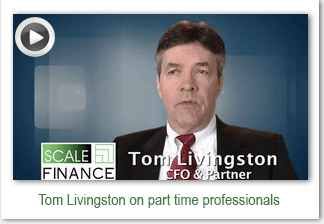 Scale Finance offers veteran Chief Financial Officer or Senior Controller or Accountant support on a part-time, interim, or special project basis (e.g. bankruptcies, restructurings, accounting system integration, sales tax, clean-ups). Our clients benefit from getting exactly the right level of professional experience and impact—when they need it and at just the right weekly time commitment (e.g. couple hours per month to 3 – 5 days per week). Our CFOs and Controllers work on-site with clients, elbows deep in processes, procedures, systems, and people issues. 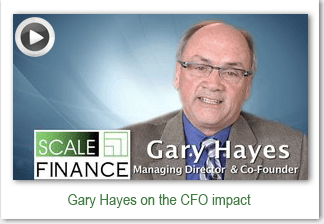 Not “outsourced”, Scale Finance services are actually “insourced”, reflecting our commitment to work seamlessly within client organizations on a low-cost fractional-use basis. We often leverage our Accounting Managers or Staff Accountants, also embedded part-time within client organizations, to ensure the right accounting work is done by the right skill set at lowest possible cost. Free initial consultations—allow us to provide a confidential, professional perspective on your company’s situation. Hands-on, 100% on-site with clients —roll-up sleeves, get-it-done projects. Serving as Company CFO for investor relations, external marketing (e.g. management team on website). Fast clean-up of problem situations.